In a consumer marketplace where credit and debit card usage is on the rise, businesses need to be able to accept plastic as a form of payment. However, a lesser-used option is electronic check, or e-check, processing. Business owners who have high-risk merchant account services may want to allow customers to expand their payment options through electronic check payments. By giving customers more ways to pay, businesses have a better chance to increase their sales. 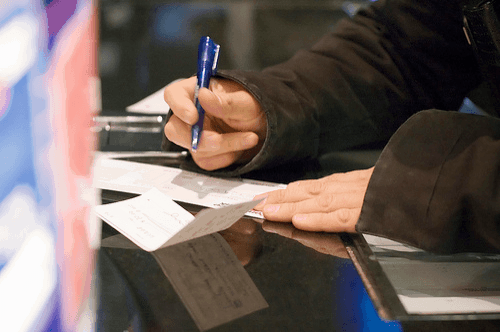 As a form of electronic payment, e-checks allow merchants to withdraw money from customers’ checking accounts and transfer and deposit funds in merchant accounts without paper checks. Similar to using debit cards tied to customers’ checking accounts, the money transfer is relatively quick. Working with their processors, merchants can have their high-risk merchant accounts expanded so they can accept electronic checks. What Happens Behind the Scenes When a Business Accepts an Electronic Check? Think of the process as an accelerated version of what happens when a customer pays with a paper check. First, the business has to have the client’s approval to create a transaction. A customer can give this authorization through a live phone call, on an online form, or through a signed order form. In the next phase of the process, information from the check enters a payment system. After the information is in place, the customer or business finalizes the payment, submitting the payment for completion. The transaction completes when the money moves from the client’s bank account to the company’s bank account by way of the Automated Clearinghouse, or ACH, network. How Does the ACH Differ From Credit Card Issuers? Credit card companies such as Visa and MasterCard offer the infrastructure that allows people to use and businesses to accept credit cards. In exchange for this service, Visa and MasterCard charge interchange and assessment fees to banks and other institutions that process credit card payments. Typically, the processors pass along those costs to those businesses with traditional and high-risk merchant accounts. Fees for ACH payments vary among processors, but the cost is usually 25 to 75 cents for each transaction. However, some processors have a flat fee ranging from one-half to 1 percent of the purchase. Processors may also charge merchants a monthly fee for the ability to accept e-checks. Still, the cost is typically cheaper for merchants to accept e-checks than credit cards. Adding on this payment option is a cost-effective way to give your customers more options. The first step to accepting e-checks is to contact the processor who provides your high-risk merchant account. Ask about expanding your contract to allow you to receive payments through e-checks. After you’ve made arrangements with your processor, you need to set up your website or internal payment system to receive e-checks. If your business accepts orders over the phone, a virtual terminal may be a good option because this payment method allows your team to key in the payment information. For in-person transactions, you can use a check scanner, a device that collects the necessary data from a paper check and uses that information for an ACH transaction. Although the process can be somewhat awkward for customers who have to look up information from physical checks, you can create a place for an e-check portal on your website. Through this page, customers can enter their account information and routing numbers from their paper checks. You’ve made arrangements with your processor to expand your high-risk merchant account and create a way to accept e-checks. Now you need to let your customers know about this extra payment option. Adding a graphic to your website’s home page and payments page is a good idea. You may also alert customers to e-check as a payment option by sending them a notification email. If your product is a subscription or ongoing service, encourage your clients to set up automatic recurring payments using e-checks. This form of payment can be a cost-effective method for your business, a small hassle for customers, and a way to build your base of faithful customers. For clients who don’t want recurring payments, you can give them the option to store their account information on your secure server to make repeat purchases simple.